> Tools>Saws, Files & Drilling>Titanium Coated Step Drill Bit, 1/8" to 1/2"
Titanium Coated Step Drill Bit, 1/8" to 1/2"
This drill bit is a must-have if you're planning to use VEX High Strength shafts! 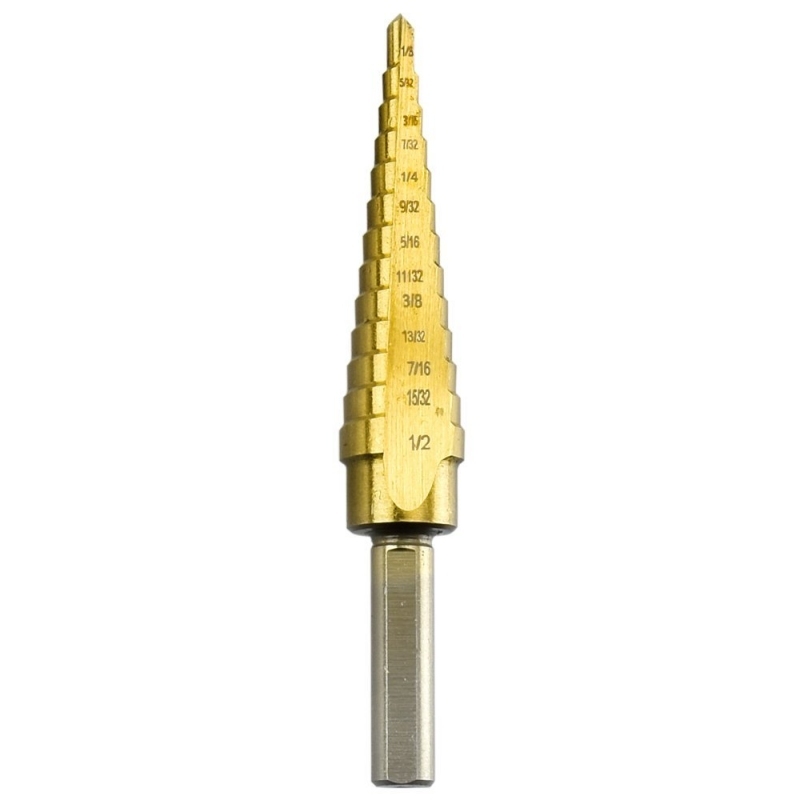 Step drill bits are used to enlarge existing holes in a variety of metals and plastic sheets. 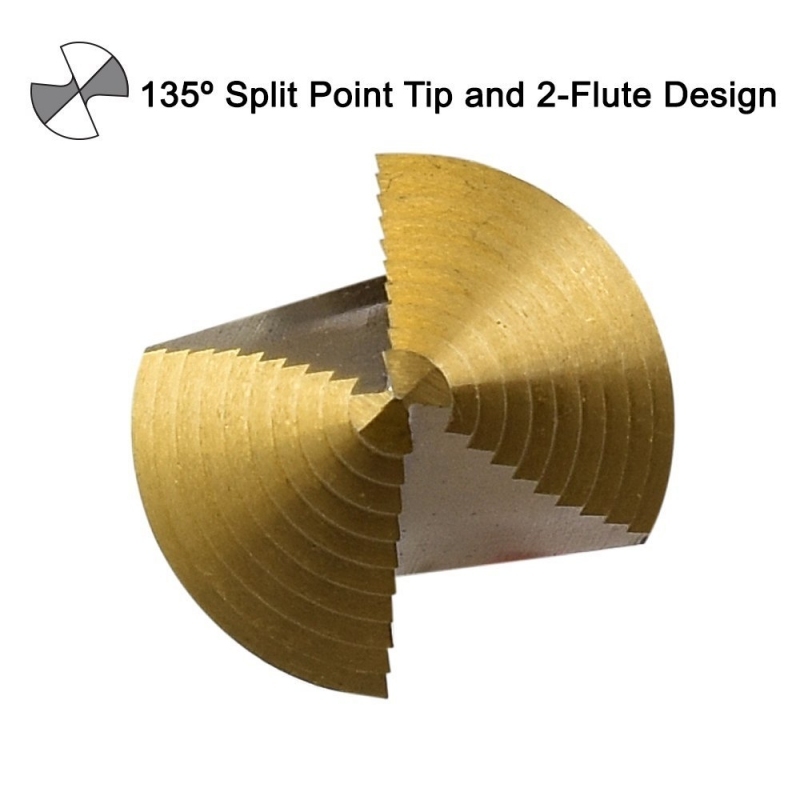 This bit goes from 1/8" to 1/2" in 1/32" increments, allowing you to make virtually any hole size you could ever need. Titanium nitride coated high strength steel with dual flute design for fast cutting and long lasting durability. 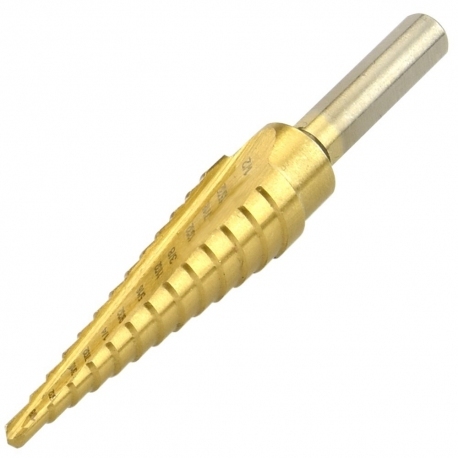 Path: Home > Tools > Saws, Files & Drilling > Titanium Coated Step Drill Bit, 1/8" to 1/2"